Elisabeth Beyer in "La Esmeralda." Photo by Rachel Neville, Courtesy Ellison Ballet. 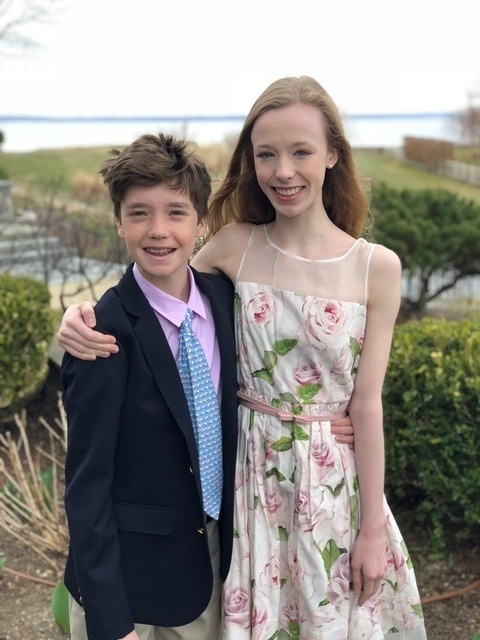 Last month, Ellison Ballet Professional Training Program student Elisabeth Beyer came in first place in the senior women's category at the Youth America Grand Prix's New York City Finals. Pointe touched base with the 16-year-old Rye, New York native to hear about her advice for competitions, how she stays calm backstage, and what's next for this young dancer. What made YAGP different this year? I was so excited for YAGP this year because it was my first year as a senior. I started YAGP when I was nine, so this was my seventh year doing it; it's always been a part of my life as a dancer. Which variations did you perform? For regionals I did Coppelia Act III variation, Grand Pas Classique and a contemporary piece by Barry Kerollis, and then for finals I did Grand Pas Classique again and a contemporary variation by Joshua Beamish. For the final round I did La Esmeralda. You don't have to do a different variation at finals, but my teachers and I wanted to show off different sides of my dancing. What were the finals like? I had so much fun this year. The whole time I was at finals I was smiling. I had such a great time preparing backstage and dancing onstage, and seeing all my friends. After all of the work I put into preparing throughout the year, it was nice to see that pay off when I performed. Have you entered other ballet competitions? Last year I competed in the Moscow International Ballet Competition at the Bolshoi Theater. That was also an amazing experience. And I'm going to the USA IBC in Jackson, MS, in June, so I'm looking forward to that as well. 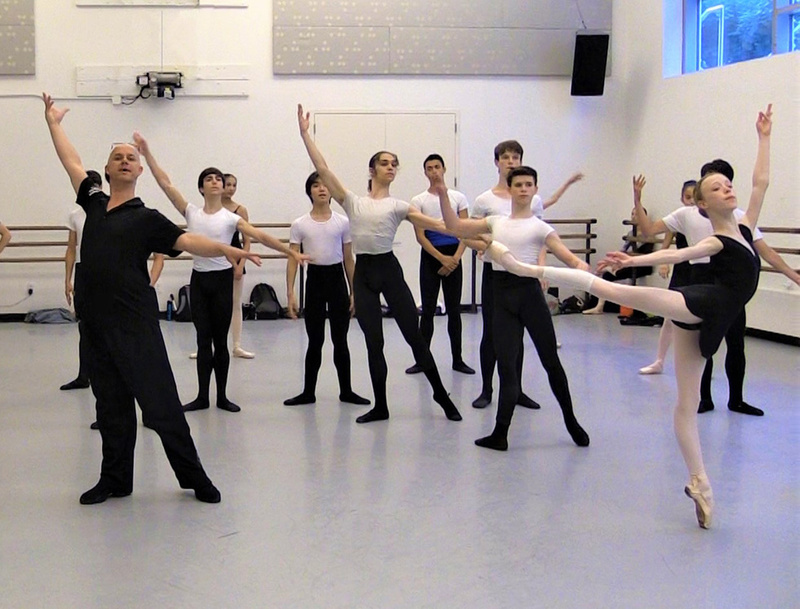 Beyer in pas de deux class at Ellison Ballet. Photo Courtesy Ellison Ballet. What are some tips that you have for dancers just entering the competition circuit? I definitely get nervous before I go onstage, but it helps to think of competition as a performance, just in front of judges. I also say a Buddhist mantra 10 times, which is my lucky number, before I go onstage. It helps me to calm down. What do you wish you could have told yourself as a nine-year-old when you were starting out at YAGP? Even though it's lots of hard work, ballet is my dream. I think that it's easy to get caught up in the stress of competing, and it's nice to take a step back and realize that in the big picture it's just one competition. Beyer with her brother. Photo Courtesy Beyer. I commute into the city, so I take my brother to school and then carpool with a friend who's also at Ellison. We leave at 8:00 am, and depending on the traffic, get in around 9:15. We stretch till 10:30 when our technique class starts. We have pointe next, then a lunch break. In the afternoon we have workshop, which can be a rehearsal for our showcase, or more pointe class, or jumps or conditioning. In the evenings I usually have a private rehearsal with a coach for an hour; the time varies, because it's hard to get studio space in New York. In both directions in the car I do my homework. I'm in 10th grade and I'm taking all my classes online. I sort of miss normal school, but I have some tutors from my old school who help me with my math and English sometimes, which is is helpful. We have our spring showcase for the Ellison Ballet Professional Training Program this weekend. Then I'm going to the Jackson IBC in June; I'm trying to finish all of my finals before I leave. Then I'm doing two weeks at the Ellison intensive before going to San Francisco Ballet's summer intensive for the first time. What are some things that you like doing outside of ballet? I love reading and I like to bake and do crafts and hang out with my little brother when he's not too busy. I'm currently reading a book in my favorite series, The Selection. I have three: Giselle, Kitri or Juliet.